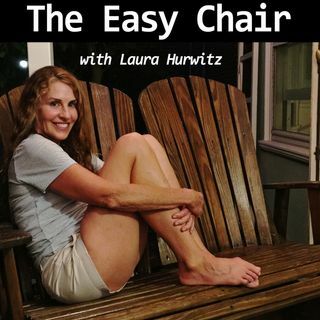 Today on The Easy Chair: Sit back and listen to “Sissy” a charming short story by author/playwright Kathy Anderson. It’s about the reunion of two sisters in their 70s. One, the narrator, is a failed actress living in California, the other, a successful investor from a “hoity-toity” New York City suburb. Add to the mix a derelict floating restaurant, a bored boatman, and a secret burning desire to swim with stingrays. It’s a crazy quilt of a tale about mortality, history, and sisterly ... See More connection, but take my word for it: everything comes together perfectly. There is nothing I adore more than a story that causes you to laugh out loud at one passage and cry at another. That’s the poignant balancing act that “Sissy” pulls off. Tune in! “Sissy” provides the perfect timeout before launching into the busy holiday season. This week’s sponsor is Brooklinen! I love my Brooklinen sheets, comforter and duvet cover, which give me a 5 star hotel luxury sheet experience at home. For my listeners, get $20 off your first order and free shipping by going to Brooklinen.com and entering promo code chair at checkout. You’re welcome!